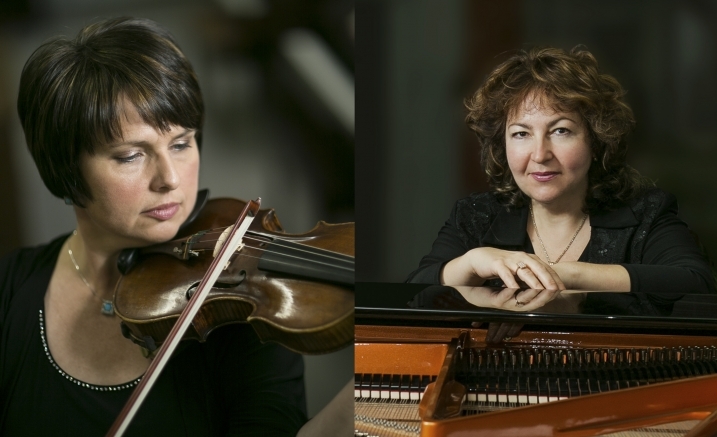 Duo Chamber Melange is a wonderful partnership between Ivana Tomaskova (violin) and Tamara Smolyar (piano) whose versatile repertoire embraces classical and contemporary music as well as world premieres of renowned Australian, European and American composers. Experience a spectrum of gorgeous music by Czech Masters Benda, Dvořák, Suk and a world premiere of Romanian composer Teodorescu-Ciocanea’s Aphrodite for solo piano. Launching with Benda’s energetic Sonata for violin and piano, the program turns cosmic with Teodorescu-Ciocanea’s spiritual Aphrodite for solo piano. Contrasted with Dvořák’s brilliant but moody and rarely performed masterpiece, Sonata in F and the demanding Four Pieces by Suk with its passionate and romantic melodies.